6. a legal guarantee put in place that no civil nuclear materials will be used by the military. Interestingly Monbiot, no slouch when it comes to reading pertinent reports (including the TRANS-CSP report), suggests that the likely outcome will progress towards the majority of our electricity being generated by a wide range of renewable energy systems interconnected by transnational supergrid networks, and with the use of storage no subsequent loss in the reliability of power supplies. "Unlike Carbon Capture and Storage," he says, "wind, wave, tidal, solar, hydro and geothermal power are proven technologies. Unlike nuclear power, they can be safely decommissioned as soon as they become redundant." So, a powerful argument in support of renewable energy, Mr Monbiot. Here's my take on this: Monbiot's position on nuclear is one cushioned with conditionality. In essence he qualifies his view on this basis: nuclear is potentially fine to have in the equation providing certain stringent conditions are met. And, if Monbiot’s conditions are followed to their logical conclusion, the market is more than likely to dictate that other renewable technologies will fill the gap in any event. You're right that Monbiot qualifies his support in such terms as to effectively all but rule out the nuclear option. Being charitable, my guess is that he was aiming for a reaction along the lines of 'we know nukes are bad, yet new coal is even worse'. However, that's not been the reaction - in a political climate where reduction of consumption is unpalatable, we're being pushed towards an 'either coal or nuclear' choice. 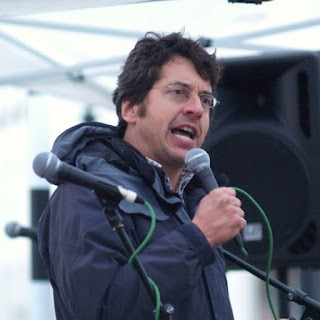 Whilst monbiot may qualify his support, that's not the message that goes out. The message is that Monbiot's supporting nuclear. As a very experienced media person and someone superbly aware of the nuances of language, he must surely have seen that coming. As Jonathon Porritt commented, in messaging terms there's a big difference between saying 'yes if' and 'no unless'.